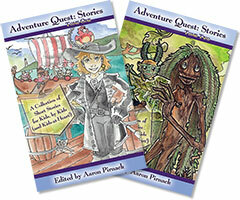 Stories crafted in Quest & Quill may be submitted for publication in the next Adventure Quest: Stories publication. Adventure Quest: Stories is a collection of lightly-edited short stories submitted by Renaissance Adventures participants and leaders. For previous editions of this series, see our store. 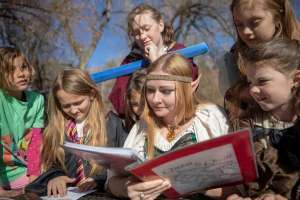 Quest and Quill will be offered for just one session during the summer of 2019. Enroll early to ensure your spot! See our Program Calendar for dates and details of upcoming Quest & Quill sessions. We have two Denver program locations: Washington Park and the Denver Waldorf School. All of our Denver Quest & Quill programs are located at the Denver Waldorf School. We quest on the school grounds and adjoining Harvard Gulch Park.